One of the most Technically Advanced Rotors available. 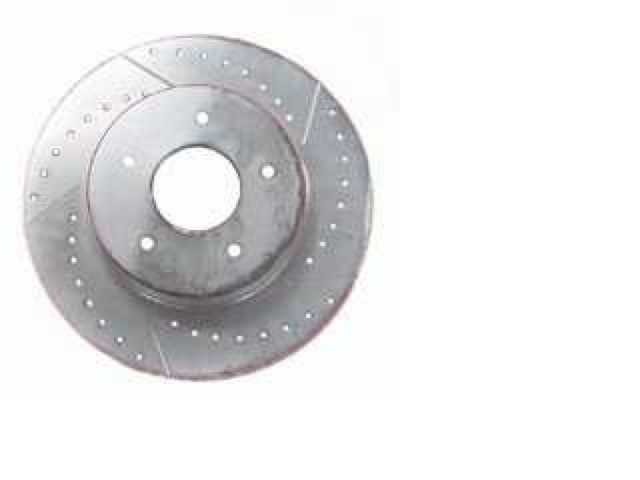 These Rotors undergo a special deep Thermal Cycling Process. This process involves cycling the temperatures to extremes as low as -320Â°F and to as high as 400Â°F. This process actually alters the composition of the metal at the molecular level. Resulting in higher resistance to heat warpage, cracking, greater brake co-efficiency and longer Rotor life. This Thermal Cycling Process gives you better performance and more than doubles the life of your rotors! Each Drilled & Sloted rotor is then Zinc Plated.